Auto-Brightness is a feature that is intended to both balance the brightness of the screen based on the ambient light, which should make it easier to read, and to save battery power by lowering brightness when it isn't as needed. Apple moved the Auto-Brightness switch to the accessibility settings starting with iOS 11 and continuing in iOS 12. Auto-Brightness takes into account the brightness level found in Settings and adjusts based on that level, so it is possible to lower the overall brightness to save battery life and still keep auto brightness on in the accessibility settings. 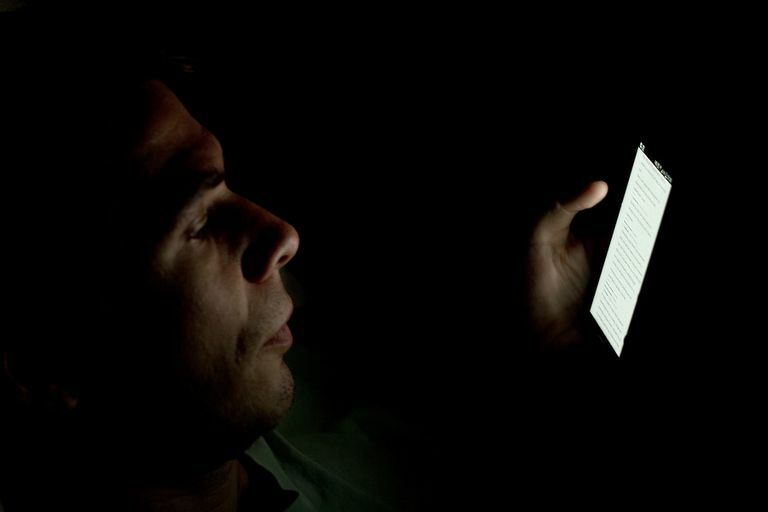 A good reason to turn off Auto-Brightness is when you are fighting with your iPhone or iPad to get the right brightness level. With the iPad used indoors much of the time, it may be easier to turn Auto-Brightness off and not bother with adjusting the brightness at all. Want to skip the line? Ask Siri to "Turn Off Auto-Brightness" or "Turn On Auto-Brightness." She can't actually do this, but she will provide a link that will launch the Settings app and take you directly to the Auto-Brightness setting, which means you don't need to go hunting for it. First, launch the Settings app on your iPhone or iPad. This is the app with the gears turning. Choose General from the Settings menu. Scroll down and tap Accessibility from the general settings. Select Display Accommodations. This option is in the VISION section of the Accessibility settings. Tap the on-off switch next to Auto-Brightness to turn the setting on or off. You can also turn on Reduce White Point, which allows you to adjust the intensity of colors. This is similar to the overall brightness setting, but will affect brighter colors more than darker colors. A percentage bar will appear when Reduce White Point is turned on, allowing you to select the intensity of the effect. You don't need to travel back to the Settings app simply to adjust the brightness level on your iPhone or iPad. The quickest way to tone it down or brighten up your screen is to use the Control Center, which is just a swipe away on your iPhone or iPad. The Control Center offers shortcuts to many settings on the iPhone and iPad from turning Bluetooth on or off to adjusting the volume on the device. On iPhone X models or iPads running the latest version of iOS, swipe down from the upper right corner of the screen. On non iPhones X models, just swipe up from the very bottom of the screen where the display meets the edge. On iPads that haven't upgraded to iOS 12, swipe up from the bottom. The brightness controls are highlighted with the icon of a sun and allow you to adjust the brightness by sliding a finger up or down on the brightness control. You can also hold your finger down (or push down) on the control to reveal a button that allows Night Shift to be turned on or off.